LONDON – It's a tragic loss — and an accounting nightmare for the promoters of Michael Jackson's doomed 50-night "This is It" concert extravaganza in London. More than 750,000 fans are waiting for details on ticket refunds, and the British government's consumer protection board told them Monday not to hold their breath — complex legal issues need to be worked out first. "The advice we're giving is that it may take a little while because it was quite a large ticket distribution," said Frank Shepherd, spokesman for Consumer Direct. "We're advising people to be a bit patient." In addition, he said ticket holders may not be able to reclaim fees paid to sellers, which in some cases reached $16 per ticket. The skirmishing over refunds is just one aspect of what is likely to be years of legal wrangling over financial matters, including Jackson's considerable debts, assets and custody of his three children. The battles are likely to dwarf earlier fights for the control of assets left by other departed rock gods, including guitar hero Jimi Hendrix and reggae trailblazer Bob Marley. Legal arguments over whether insurance companies must shoulder much of the financial burden caused by Jackson's death are expected to slow the refund process, experts said. Promoters are generally required to take out insurance to cover concert cancellations or non-appearances, said Malcolm Tarling, a spokesman for the Association of British Insurers. Many of the policies are extremely specific, allocating levels of payouts according to the reason for the cancellation — including the cause of any death. If a drug overdose was specified as a risk with lower coverage, AEG may be entitled to less money. 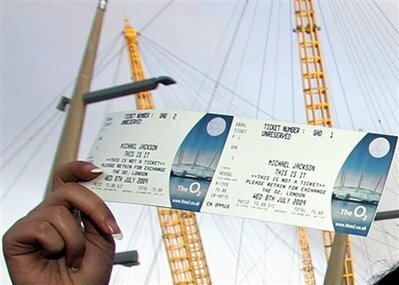 Los Angeles-based tour operator AEG Live, which operates the 02 Arena where Jackson was to have performed, said ticket refund details should be announced this week. Much of the company's ability to weather the financial storm caused by Jackson's demise may depend on how much of its losses are covered by insurance. And that will be determined in part by what the Los Angeles County coroner's office finally determines as the cause of the mega-star's death. Officials have warned it will be up to six weeks before a cause of death can be pinpointed because complicated toxicology tests are needed. AEG Live has so far been tightlipped about the amount of insurance coverage it had for the concerts and which companies were the underwriters. Insurance market Lloyd's of London says its member corporations underwrote some policies, but said AEG likely had multiple contracts, with several insurers all taking on a portion of the risk. 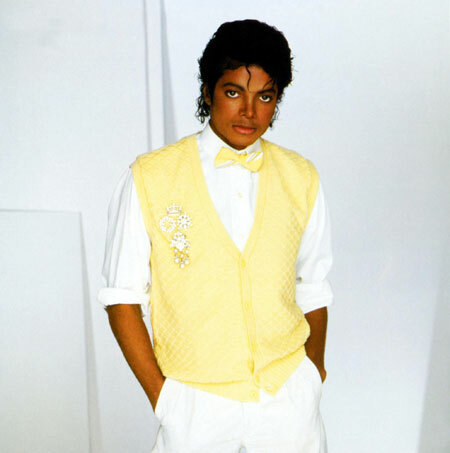 Bart Nash, a spokesman for Lloyd's, said a number of different policies were written to cover the Jackson concerts, each with different clauses that could be affected by the all important "cause of death" determination. "These things are written into the policies, and each one is different, and these types of contracts are so complex that different issues affect different policies," he said.